Monthly Promotion: Are you Taking Advantage of the Reel Deal? If you want to get the most out of your deposits, you don’t have time to mess around with small promotions that aren’t as lucrative as they should be. At Palace of Chance, you’ll never need to worry about that, because this casino only offers the best promotional deals in the business. As evidence of this fact, you’ll want to take a closer look at July’s Reel Deal offers. 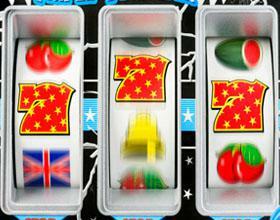 These bonuses will blow you away, but they aren’t just for slots players. No matter what type of game you prefer, you’ll have no trouble supercharging your deposit and seeing for yourself just how far your bankroll can take you. When you see how great these deal are, you’re going to feel like you just won the jackpot. 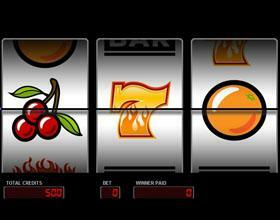 For slots players and keno aficionados, the 560% bonus is a match made in heaven. Featuring a 30 times playthrough restriction and a 10 times max cash out limit, this offer will transform your next deposit of $70 or more into an opportunity to play like a high roller. It’s not all about the slots in the Palace, though. If you prefer another game, you’ll have a choice between two uniquely tantalizing bonus deals. First, there’s the 310% bonus. Featuring a 30 times playthrough restriction and a 10 times max cash out limit, it’s perfect for players who want the biggest bonus possible. For the players who don’t like rules, the 160% bonus is the perfect choice. Available for all games except blackjack, this deal will supercharge your next deposit of $30 or more without weighing you down with any limits or restrictions. Try one, or try them all. You can’t go wrong when the deals are this good. Every player at Palace of Chance has access to awesome promotional offers, but the best of the best are always saved for the VIPs. If you’re a member of this exclusive club, you’ll have a choice between three of the best deals you’ll find anywhere. For slots and keno, look no further than the 630% bonus, which features a 30 times playthrough restriction and a 10 times max cash out limit. For table games, take your pick between the 380% bonus, which features a 30 times playthrough restriction and a 10 times max cash out limit, or go for the no-rules 230% offer. Whichever offer you choose, you’re going to like what it does to your playing power. Now that you’re familiar with what the Reel Deal brings to the table, you’re ready to supercharge your playing power and get on the way to your next big win. If you’re interested in becoming a VIP or have any questions about activating your bonus offers, contact our industry-leading customer service team via the Contact Us page of our website. With all of the best games, an endless collection of incredible promotions and top-notch customer service, there’s one thing that’s for sure. You’re going to like your gaming experience at Palace of Chance! Her friends describe her as the funnest person they've ever met. Juliana loves blackjack and does a lot of practice and research on the game, she also claims to be a sucker for cute slot machine toys, which she has collected for several years. Graduated recently from UCLA and now is back in her hometown of Las Vegas ready to have fun! Monthly Promotion: Do You Want in on the Reel Deal? What exactly is Caribbean Stud? Monthly Promotion: Are you Ready for the Best Game in Town?